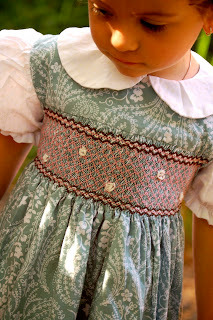 Bella Jean Boutique: Our Smocked Dress - FINISHED!!! Yes, we finished our first smocked dress. Actually, we finished it a while ago but just never got a chance to take the photos. 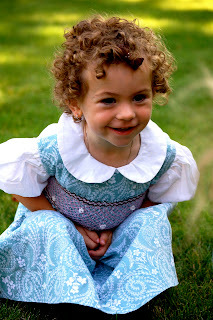 We gave this dress to our friend Leah because she has always told us how much she loves smocked dresses for her daughters. So as a gift for Daisy's 2nd birthday we surprised her with the dress. 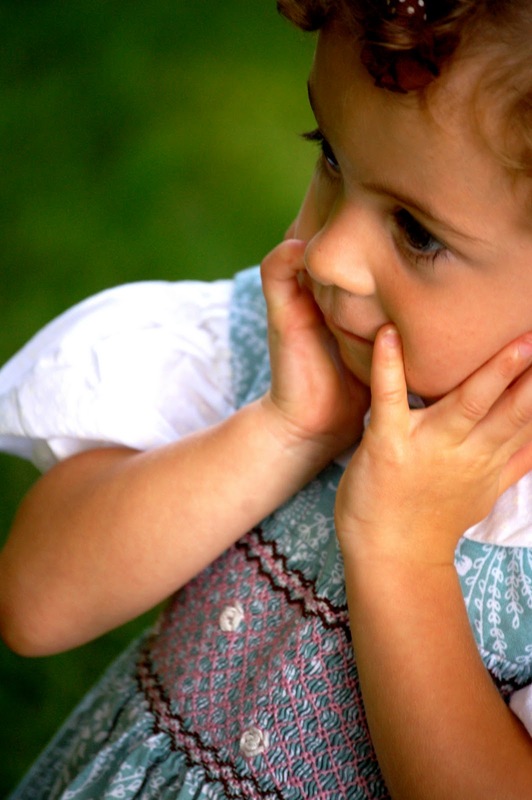 There is something about the look of smocked dresses that you can't find in others. They are so sweet on little girls. 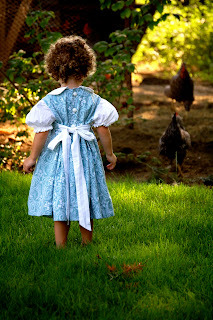 Daisy loved playing with the chickens so it set the perfect scene for the photos. 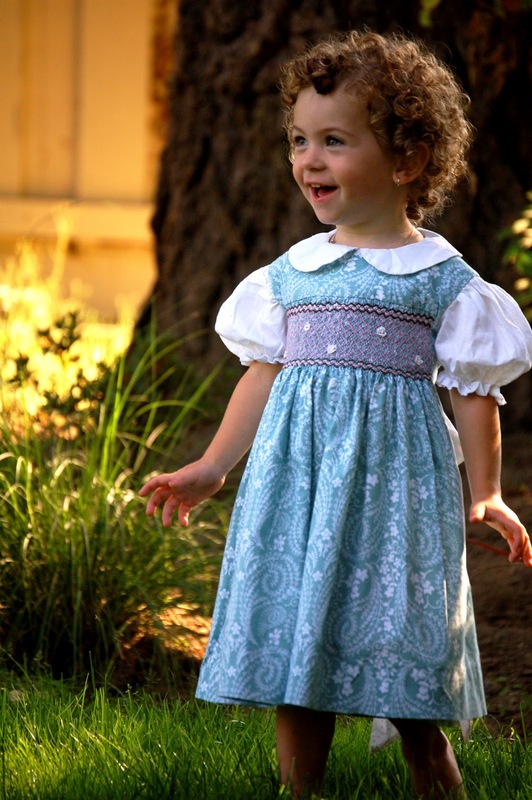 Let us know if you have any other good ideas to add to our next smocked dress! 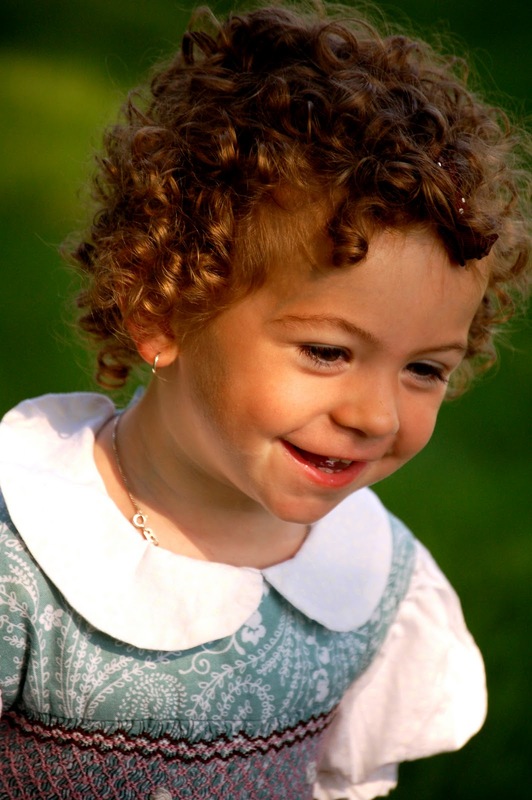 Oh, and thanks to Martha Liska, Victoria and I learned how to smock in just two classes!